For a professional USB with a textured finish and a metal trim, USB 021 should be on your list of promotional products to purchase. 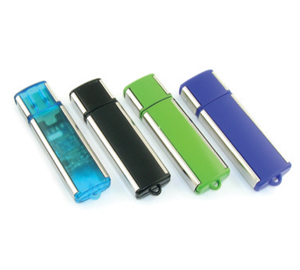 Available with a screen or digital logo print and in five different colours (black, blue, green, red and white), model 021 is a good option for branded USB’s for your next marketing or promotional campaign. USB 021 has a large capacity size option ranging from 1GB through to 64GB and a data preload option which is perfect for new customers and clients. As with all of our promotional USB range, the 021 model has a high quality memory chip, password protection option, and a 12 month product warranty. 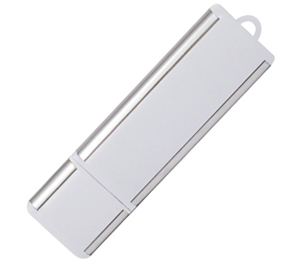 With the option of attaching to a lanyard or keychain and available as a bulk option or in a range of gift boxes (white, black, tin and PVC leaf), promotional USB model 021 is suitable for all of your clients and customers, or just for using around the office. If you need a professional USB ready to give to your clients and customers, USB 021 is a good choice.